Redbones is a well established, much loved restaurant located in Davis Square - Somerville, Massachusetts (click here for directions). RedBones has become a favorite for many folks over the years, most likely due to its authentic downhome-style Southern food, its unique ambiance, and the genuine friendliness of its staff. Redbones also offers 24 fresh microbrews on tap and often hosts local Brew Fests. Catering and delivery are available for private functions. The ribs and pulled pork were incredible but the jerk chicken was unpalatably spicy. Root beer is local and fresh and the nachos were great as well! Food was really good. Tough to park. Music was a bit loud, but very cool atmosphere!! Being a son of the south...this place has great food! Great food, cool place. We would go back again, and plan to soon. We had a reservation for 7:45pm and showed up 10min early. We weren’t seated until after 8:15pm. The food was great but the service was on the slower side. We didn’t mind too much but it’s something to keep in mind if you are looking to go somewhere after you eat. We have not been to Redbones in about a year - checking out the competition around Boston. We were so glad to return - everything from the grilled wings to ribs, brisket and collard greens were fantastic. There IS no competition! Some of the best bbq I've had in Boston. Sides were ok. Went with the brisket and it was juicy and flavorful on the inside and the perfect char on the outside. And it only took about 5 min for the food to be served. Pricey, but food ok. Not very big portions for the price. By far the best Southern food I've tasted since leaving the deep south a decade ago. Food portions very small and not worth the mention. I have been eating here for years. And disappointed with the beef ribs. Barely any meat to enjoy. The place "Red Bones BBQ" is appeasing more of the Vegetarians. Then the customers that made them famously good. This place pushes the drinks more; Then the food! Redbones never disappoints! We ordered buffalo wings & baby back ribs and bbq beans for a side - DELICIOUS! Many of their menu items are gluten free. The waitstaff is super friendly & very welcoming. Got the meat sweats now! The food was delicious and the portions were enormous. Tasty, tasty beef brisket and loads of sides. Very busy and gave our original table away as we were 4 mins late but that was no problem another table was soon found. Great decor, friendly but very busy staff. Gorgeous food! Pulled pork in particular was melt in your mouth! The ribs were way over cooked, the fried chicken piece quite small. Disappointing. My husband and I come here all the time. He ALWAYS can find something to complain about when we go out for good. Redbones was the first place he literally raved about for weeks after. The grilled wings are his absolute favorite, but you truly can't go wrong with anything on the menu. The service is always great, even when they are super busy our server has always been apologetic of the rush and very nice. We couldn't recommend this place enough! Liquid smoke anyone? The Mac and cheese is Velveeta. The meat is clearly not actually smoked. The hush puppies were the highlight of the meal. The greens were cold. Drinks were weak. The downstairs is full of interesting ever-changing art. Very casual, nice people! We’ve been to Redbones many times in the last 25 years. The food is always excellent. Our only issue this time was that the kid who was our server seemed to be in the weeds. He wasn’t attentive and we were left to flag him down for drinks, silverware, etc. The hostess was very kind ... found us seats in front of the kitchen so we wouldn't have to wait long on a Saturday night, as the place was packed, as usual. It was fun to watch the cooks turn out tantalizing food. It smelled and looked so good! We were served promptly, and the brisket was amazing. Melt in your mouth! Flavor to die for, with hardly a spec of fat! We'll be back! 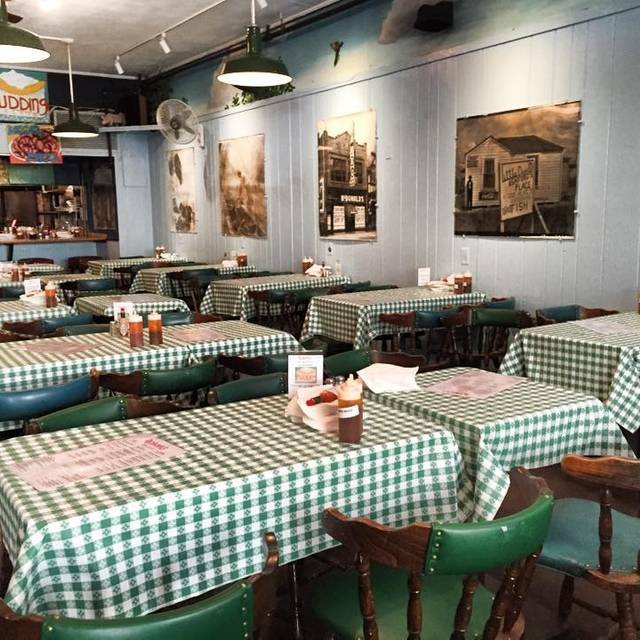 Redbones is the perfect place to go with family and friends! We love Red Bones. The food was delicious. We all ordered something different and everyone was happy. We sat downstairs and there was a group of 8 people who were loud. Definitely will go back again soon for the baby back ribs! The food was DELICIOUS!! And the service was polite and helpful. I can't wait to go back! Great place to take my college sophomore son on my business trip into Boston! He got well fed, with leftovers to go, because of the generous portions. Fun, lively atmosphere. Super friendly service. 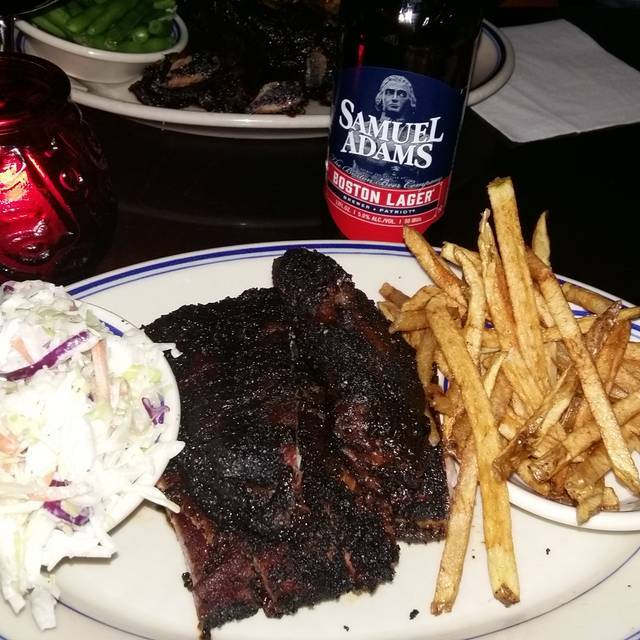 The St. Louis ribs, brisket, Mac and cheese, coleslaw, roasted root veggies and shoestring fries were all wonderful. Generous pours of wine, corn fritters and beignets were also very welcome after a long, cold trip to get there. Cool environment, perfect place to meet with friends and have a delicious meat dish. Looks like a traditional American tavern and everything feels so comfortable! Excellent value for money choice. Amazing food and great beer selection. Place was packed and even though we arrived 10 minutes late to our reservation, the hostess did not have a table ready for us and encouraged us to grab a drink at the bar. Luckily, we didn't wait too long and made our concert on time afterwards. I ordered the chicken and waffles per some online review recommendations, and it did not disappoint. The gravy and syrup as dipping sauces makes every bite magical. My boyfriend got the memphis ribs with mac n cheese and coleslaw, all of which was very good. Mac n Cheese was a little runny but maybe that's just a preference. Cant wait to return again. Love Redbones! Brisket too dry, rib is decent but salty, and the place was really loud. Love this amazing place! Foods perfect for southern hospitality. Great service thanks to the amazing Berniece!! Would come back for more southern comfort. I am sorry to say I was really disappointed. I ordered the Brisket dinner and it came out all fat and burnt ends, like some one scraped the pan for scraps. My dinner companion had the same thing and his looked just cut, lean and freshly cooked with even slices. The guy at the table next to me had a great looking Brisket sandwich. The waitress didn’t check back, by the time she did everyone was half way through the meal. I was extremely upset, because I really appreciate good BBQ. This was my second time at redbones. The service was on point. I ask for recommendations and she gave me her honest opinions on both. The food was delicious as always. I just wish the collard greens were a little less spicy so I can order it next time. The iced tea (eddy) cocktail was delicious. Overall, can’t wait to go again. Love this place - would recommend if you like casual and delicious BBQ. Great BBQ, truly excellent beer list (including my favorite Belgian beer on tap! ), fun ambience, and the fried pickles are always worth it. 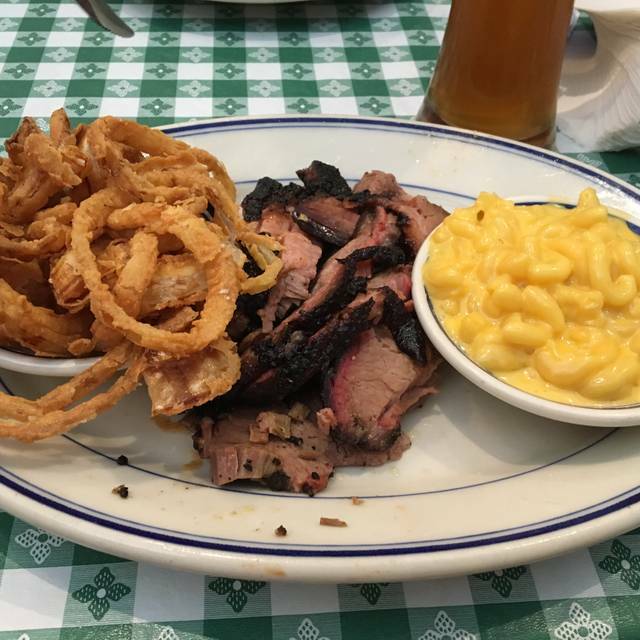 Finding authentic BBQ in New England can be a challenge, but this place has a great selection. The brisket was smoky but not overdone, very tasty. We went here because of the gluten free options which were extensive and with a separate fryer, I could enjoy the french fries too. Portions were right too. The dinner specials were enough to eat without overstuffing yourself. 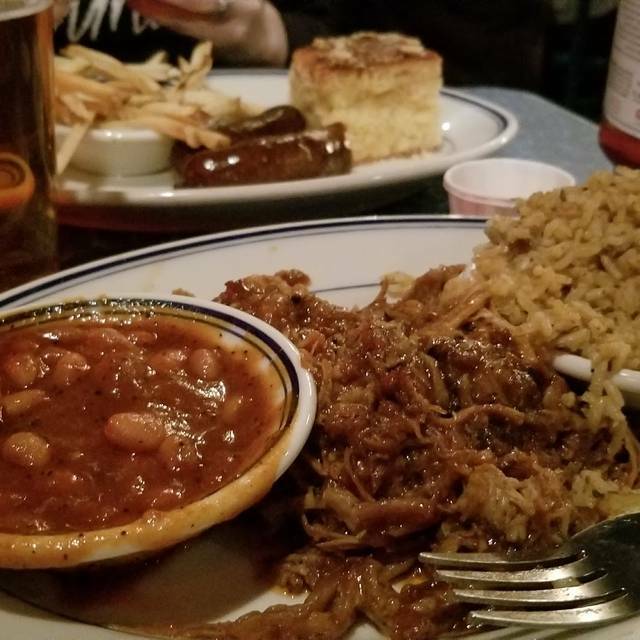 I also appreciated a good selection of sides, not just baked beans and coleslaw, as some other BBQ places. 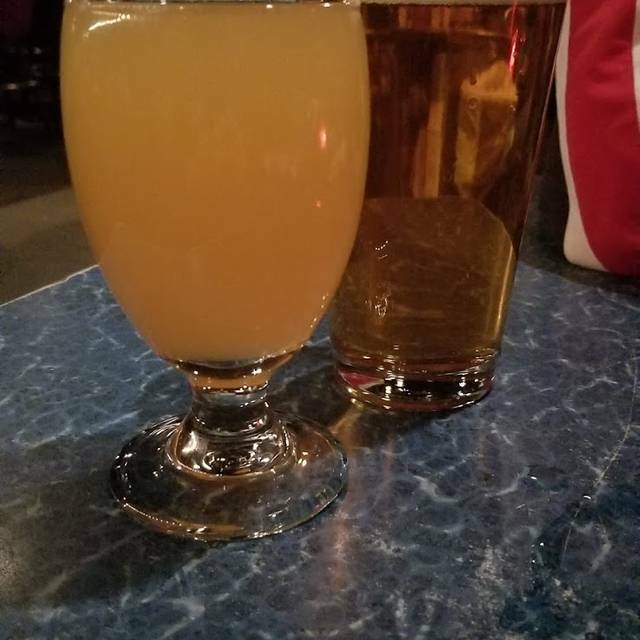 Went here for my 21st birthday dinner + first legal drink this weekend after wanting to try it because of many recommendations. Safe to say I was not disappointed. The food is amazing (such big portions), and beer selection is also lengthy and diverse. 5 stars! Love Redbones! Food is always delicious and staff super accommodating . Our daughter is graduating Tufts this year and we are sad because Redbones has become our family tradition whenever we go to visit! 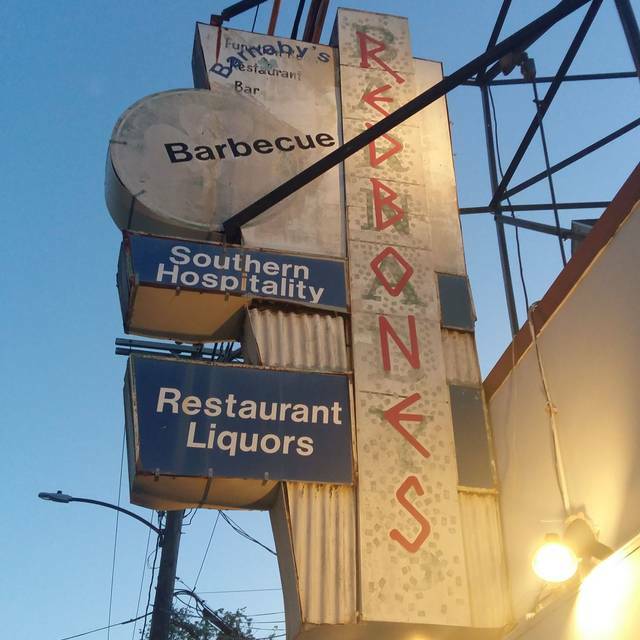 Red Bones is a no-nonsense, no-frills BBQ joint attached to a bar with a huge beer menu. The food is off-scale excellent and the staff is super-friendly. it's a bit noisy and crowded but that's a great vibe for eating BBQ. What can you say? Redbones... is Redbones! Great casual fare in the heart of Davis Square. Upstairs and downstairs dining and bars. Think indoor BBQ picnic without having to haul everything from the car. Thumbs up. A couple next to us, at another restaurant, overheard us talking about “needing some good bbq” and they suggested RedBones. They said you probably passed by it and didn’t even realize it was there. No truer words. The place is super unassuming but the food is ridiculous. The chicken and waffles excelente. That gravy. The service was awesome. It all reminded me of our days back in Miami. A definite return in the works.